From our focus on high efficiency heating and air conditioning systems, to helping you get the most out of your home comfort equipment, Accurate Air is committed to providing our customers with the East Valley and surrounding areas’ best service. So whether you need a new installation, an energy-smart replacement, or a timely repair of your current unit, be sure to take advantage of our all-out dedication to quality and value. Heating And Cooling System Sales, Installation And Service – We sell and service the highest quality Trane heating and cooling systems. It’s at the core of our commitment to deliver outstanding comfort and value to every Accurate Air customer. While some A/C companies take a one-size-fits-all approach, we provide you with recommendations on a comfort system that matches the specific needs of your home, lifestyle and budget. For your convenience, we also service all major brands of heating and air conditioning equipment. Planned Service Agreements (PSA) – Regular inspection and servicing of your heating and cooling systems are key to avoiding breakdowns and increasing your comfort. No need to leave maintenance up in the air – let Accurate Air keep things on track. Our annual PSA contracts are some of the best and most reasonable in the Valley, starting at $159 a year. They provide you with two seasonal check-ups, discounted parts and labor on any needed repairs, and year-round peace of mind. Click here for more details. Monthly, Bi-monthly And Quarterly Maintenance And Filter Change Programs – One of the easiest preventative measures you can do to keep your comfort system working efficiently is to change the filters. Yet many of us forget to do it regularly. The solution? Let Accurate Air remember for you. It’s simple and inexpensive. Call us for details. System Control Panels And Thermostats – We offer comfort controls and thermostats to put new levels of heating and air conditioning performance at your fingertips. Do it your way, with an assist from Accurate Air. 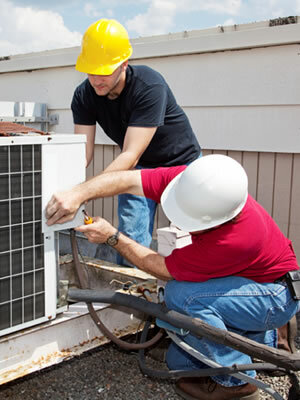 Call Accurate Air today for expert service that puts you first and gets the work done perfectly.